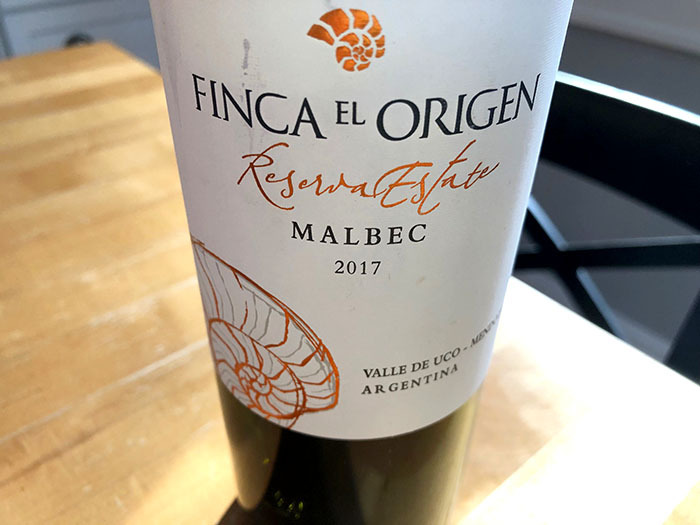 Finca El Origen is a tasty, violet-colored Malbec from Argentina’s Mendoza region. The new vintage, the 2017 is out! This malbec spends quality time in a toasted barrel, is made the old-fashioned way—from vine to bottle—and is a food-friendly bargain. You’ll find bottles going for $12 and under in stores in our region. Call your wine shop ahead; small shops, especially, can’t stock every wine. A good shop will order the wine for you. Distributors are happy to deliver the wine to your shop within 24-48 hours. To help the staff order the wine, tell them the distributors are Angelini or Worldwide Wines.